How can you treat hair loss in the eyebrows and eyelashes? Eyebrows and losing weight is a common problem. We have all had times when we looked in the mirror and noticed some bald spots in one or both of these areas. As you know, full, well-defined eyebrows are a fad today and the look gets a special look. But what do you do if those of you already thin out? The loss of hair of the eyebrows and eyelashes can have several causes that we will discuss below, but do not worry, since it is almost always temporary and with proper treatment you can restore them. Be careful what you should do. Your metabolism changes, the cortisol levels in your body fluctuate and this affects a lot of your body functions. So it is normal to experience that annoying hair loss in your eyebrows and eyelashes. In the case of eczema it is a more serious problem and the help of a dermatologist is required for this. Eczema is a common disease usually occurs due to chronic redness, itching and discomfort. 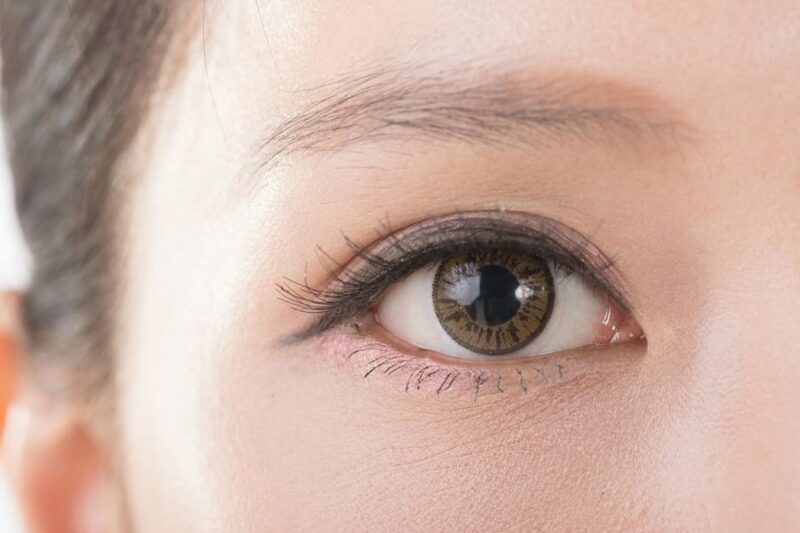 It often also affects the area around the eyelids, resulting in a loss of hair of the eyebrows and eyelashes. Follow the advice of your doctor. Eczema should be treated with appropriate medication, which should stop the annoying problem of hair loss. Of course we are talking about epilation or depilation of your eyebrows. When you take a hair at the root, it can sometimes take longer than usual before it grows again and it can take up to two weeks before you see it again. So be careful with epilating to ensure that you do not remove too many hairs. You should also remember that hairs can grow a ‘finite’ number of times before they completely disappear, so if you take your eyebrows too much, it may even be that you lose them permanently. For example, certain medications for arthritis can cause hair loss in the eyebrows and eyelashes. If you have questions about side effects of medicines that you are prescribed or already take, contact your doctor. It is worth the extra time. As you get older, your metabolism will slow down and that makes it easy to suffer from small imbalances that lead to hair loss. The hair follicles are less stimulated, which means that your hair growth is slower. Eyelashes, for example, fall out faster than they can be replaced. Rosemary and castor oil: Both can be used and are easy to find, both in supermarkets and in health food stores. All you have to do is wet a cotton pad with the oil and massage it into your eyebrows every morning and evening. Massage with olive oil: You can do this before bedtime. Simply wet a cotton pad with a little olive oil and moisten the hair follicles of your eyelashes. It is so simple! Vaseline: When you come home in the evening, the first thing you need to do is remove all traces of mascara and other makeup from your eyes and eyelashes. Then add a little Vaseline and massage it into your eyelashes. This also stimulates the growth of stronger and thicker eyelashes. Bring the water to the boil and then add the chamomile. Then simmer for fifteen minutes. Take the heat away and allow it to cool slightly. Hot tea should be applied to your eyelashes. Moisten the tip of a cotton swab and wipe it over your eyelashes. Do this every day after removing your makeup. Miracle oil: As you probably already know, castor oil is excellent for treating hair loss in this area of ​​the body because it stimulates the growth of new hair. All you have to do is follow a simple ritual. Moisten a cotton pad every evening with a few drops of miracle oil and then pat it gently on your eyelashes . You will begin to see results within few weeks. It is awesome!